A bookmaker's office, as well as an online casino require special software called sport betting software, a major determining factor for correctness of fixing sports lines, and possibility to produce bets, the level of coefficients and, ultimately, the profitability of the business. If you want to know how to start sports betting business here are some clues. First and foremost, integrate quality software. The choice of the betting platform is of great importance, and that is what needs to be addressed. 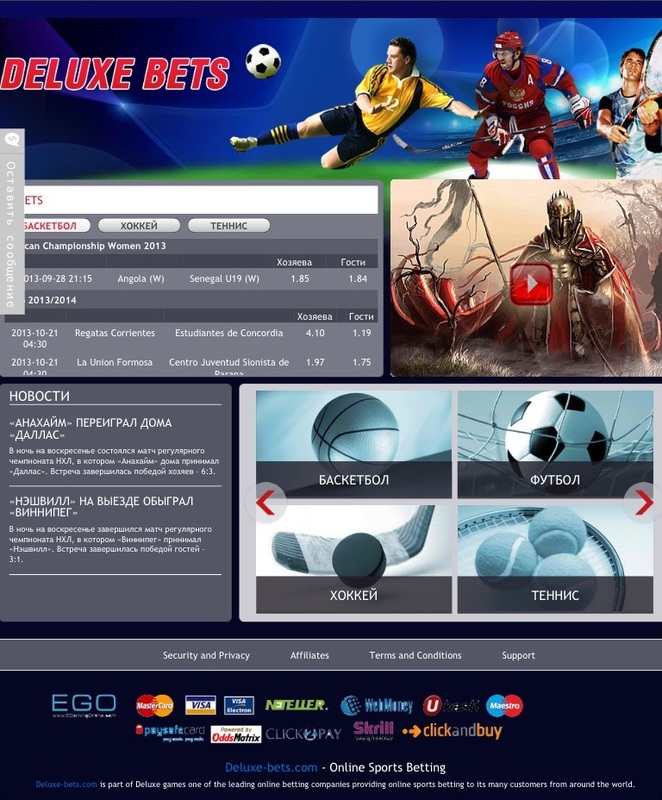 One the most successful solutions for bookmakers is the Deluxebets betting platform, which is developed by this sportsbook software provider not only for the production of bets and fixing the coefficients, but also for online casinos. It also provides news generation and broadcasting of sports channels. Functioning of wide sports lines. Possibility of fixing maximal coefficients. Online broadcasting of sportive events. Game participation available for foreign customers. Setting up online payment transactions. Offering the features of the game entertainment portal. Modern games are available: original slots from Novomatik. Also note the fact that the Deluxebets software for bookmaker offices is supported by different devices. It requires no additional setting since it is initially set up and is ready to operate. A unique, ready-to-use Deluxebets software for bookmaker differs from its competitors with the highest quality and offers many opportunities for running gaming business. Players are given a chance to take great rest in the atmosphere of excitement and amusement by visiting the site developed with this software. Thus, by choosing Deluxebets to be your sportsbook software provider you get a new guaranteed way to make money on the internet and multiply your income. 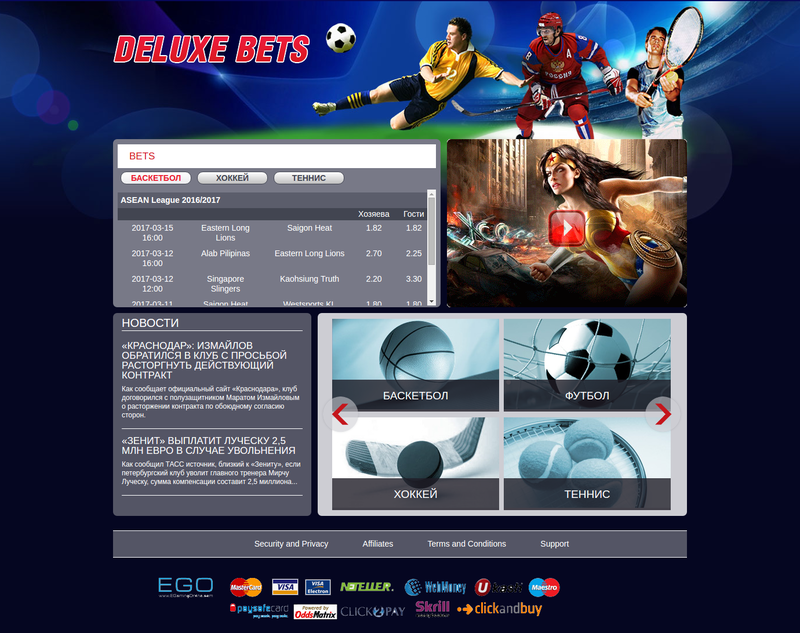 You can place an order for purchase or rent of the DeluxeBets sport betting software on the Casino Market site.